My laptop running on Windows 7 does not allow me to open recently installed Outlook 2003 on it. When I try to start Outlook 2003, the system scans for errors and closes the application immediately without displaying any errors. What has to done to start up this application successfully? Windows XP freezes while opening MS Outlook. there might be problem with your installation that is outlook express is not properly installed because the source from were you installed might be corrupted or might be missing some files. so try installing it from any other location most suitably from the microsoft website of which i have provided the link although its free trial for 30 days you can upgrade it to full version by buying it. 2.Type APPWIZ.CPL in the start search box and press Enter. 3. Highlight Office 2003 and click Repair. It may be due to the Installation problems on the laptop. So if you can uninstall the MS Office 2003 and then again reinstall it then it may solve your problems. this problems occurs due to the virus. So after the uninstalling the MS office you have to scan the Full computer for the deletetion of the viruses from the Computer. So you can install after the scanning the computer. Go To Start . .
Open Microsoft Office . .
Go To Microsoft Outlook . Got To Help option . .
You can complain about your problem there . . Your Problem will be solved . . Checked your post regarding the outlook issues. 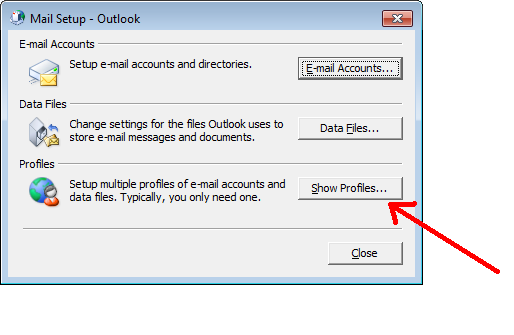 First check the general steps whether all the application which is required for outlook 2003 is currently installed. Secondly Check if any file is misplaced. Lastly you reinstall the application again. 1)On the Start menu click Run. or error in copying files. I think it may be due to the Installation problems on the laptop. So if you can uninstall the MS Office 2003 and then again reinstall it then it may solve your problems. this problems occurs due to the virus. So after the uninstalling the MS office you have to scan the Full computer for the deletetion of the viruses from the Computer. So you can install after the scanning the computer. I think Outlook 2003 can't be install properly so it is not a open so you remove the MS office and again install it..
it repair the Outlook ..
As you have mentioned in your problem, according to that I've come to know that it may be a problem of improper installation of Outlook 2003. May be the setup you've installed not functioning properly. It may get corupted. So, in order to get rid of your problem the way for the solution is that first uninstall your package of Outlook 2003. Then again install it carefully by following the step by step wizard. If you get the same problem again after the new installation, then its deadly sure that the setup you are using is corupted. You should download the new one and try with that. Why receiving an error while making click on hyperlink of Microsoft outlook and show the steps to fix it?